Eighties music is as popular as ever as a whole new generation discovers the New Wave sound. Many radio stations and dance clubs now feature "Flashback Eighties" as part of their programming. 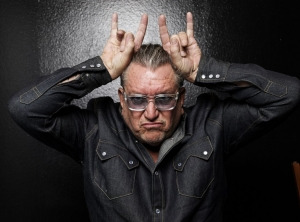 The spirit of 80's Alternative/New Wave/Punk resides at So Cal's KCSN 88.5 FM. Their regular playlist is adventurous and eclectic. They feature the best of the new but haven't forgotten about the past. You'll hear everything ranging from Arctic Monkeys and White Stripes to Duran Duran and U2. 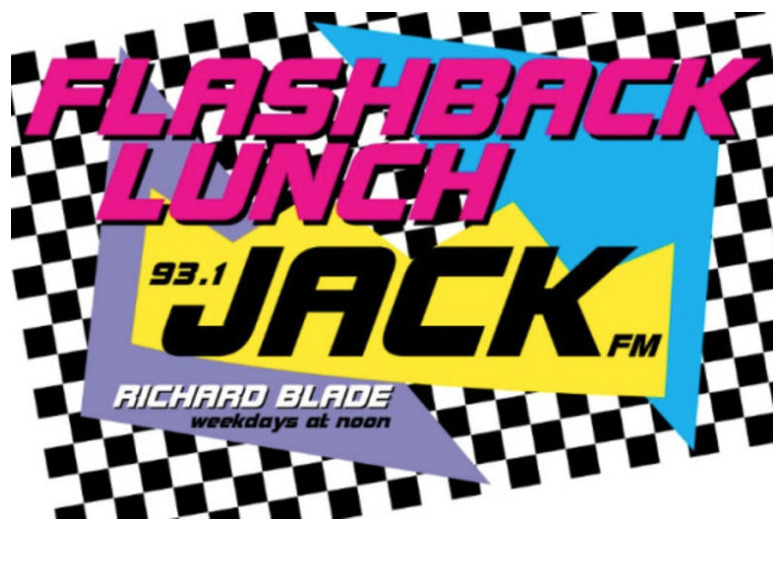 Jack FM welcomes the return of the Flashback Lunch with Richard Blade 12 to 1 PM weekdays at 93.1 FM. Former MTV jock, Nina Blackwood and her New Wave Nation show is available as a free iTunes podcast. 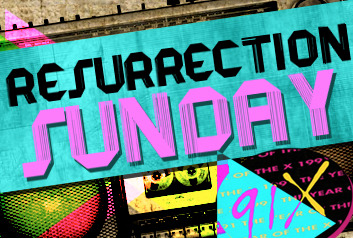 91X (XTRA 91.1 FM) out of San Diego has a Sunday morning flashback show called Resurrection Sunday from 6 am to 10 am. Sirius Radio channel 22 features 80s programming like "1st Wave Rewind", "Dark Wave" and "Saturday Night Safety Dance". The Sirius "Firstwave" channel features DJs such as Swedish Egil, Richard Blade and Dave Kendall spinning Depeche Mode, The Smiths, The Cure, Peter Murphy, New Order, Moz, INXS, TFF, Pet Shop Boys, Siouxsie, The Clash and many others. On Sirius Radio channel 8 Original MTV VJ Martha Quinn brings her love of '80s music to SIRIUS-XM listeners! Every Saturday at 8 am ET, Martha gets back in the studio and back to a time when "M" stood for music, playing the songs that defined a decade, and bringing her own personal perspective on the biggest pop and rock artists that she experienced firsthand. Cox cable in Orange County offers 80's music on cable channel 923. On cable TV, VH1 has two hit series with eighties themes. "I Love The 80's" takes a humorous look at 80's fads and trivia. VH1's other offering, "Bands Reunited", is a reality show where the challenge is to reunite former members of great 80's bands for a one time concert. VH1 took aim at reuniting The Alarm, A Flock Of Seagulls, Dramarama, Romeo Void, Squeeze, The English Beat, The Motels and others. One of the reunited bands from last year, Berlin, was jetted to Los Angeles for a one-night sold out gig at the Roxy. This was the very first venue they played after signing with Geffen Records over two decades ago. Berlin has since continued to tour and has released a new album. "Eighties Night" has become a popular dance club promotion. The New Wave Restaurant And Bar in Belflower is open everyday for your 80s indulgences. 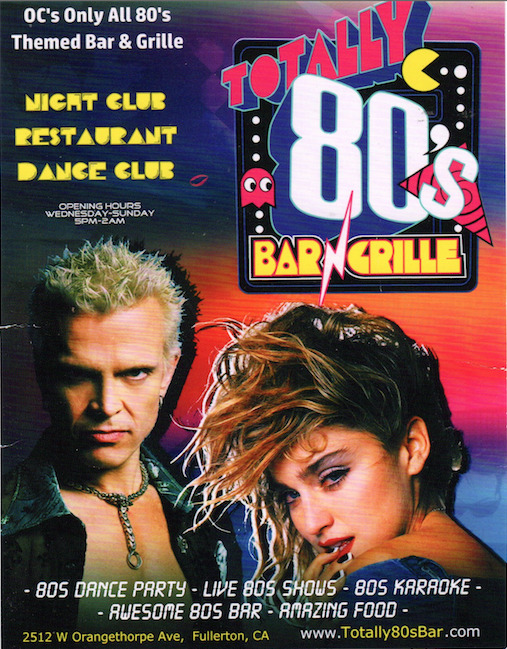 Totally 80s Bar And Grill (Fullerton) in Orange County has become a busy party scene as well. Check out the Totally 80s web page. Club Addiction is located in Los Angeles. For more information about Flashback 80s and New Wave/Punk Music, see the links on the left of this page. 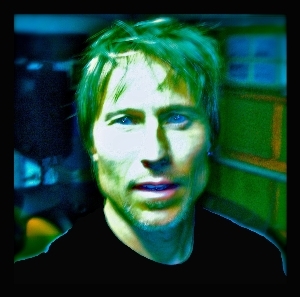 DJ Craig.Net Is Music For 80s parties and special party events.